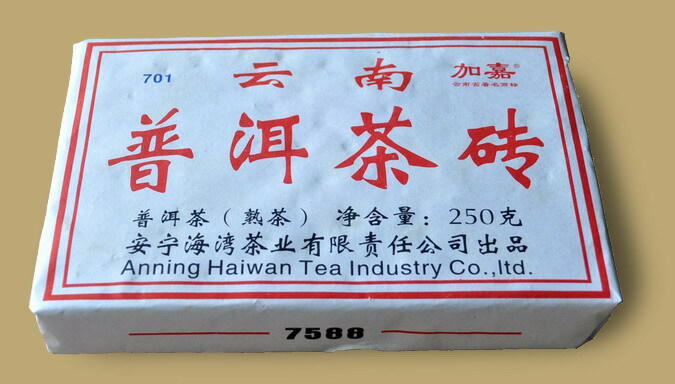 7588 is Haiwan's version of the class CNNP 7581 recipe, some of which were produced by Haiwan Tea Factory licensed by CNNP before 2005. 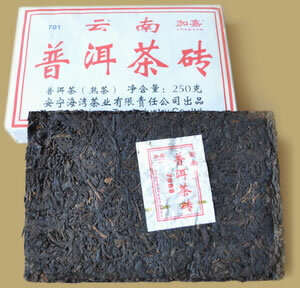 This 2007 vintage ripe Pu-erh brick was produced according to the original recipe, medium grade leaves, moderately fermented. 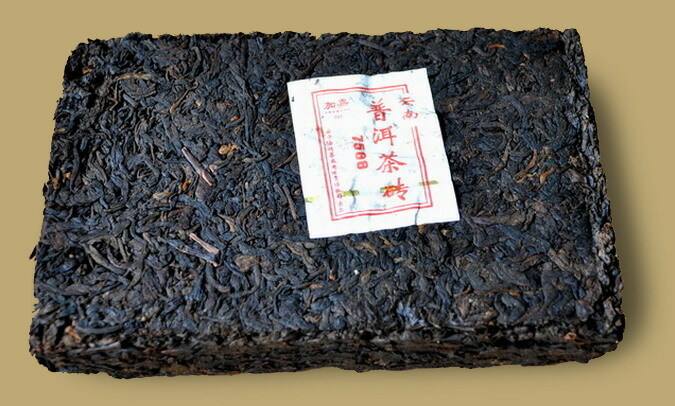 The tea has a mellow and rich earthy flavor. Excellent for drinking immediately.